Microsoft is offering an incentive for beta testers to try out a new Xbox 360 disc format. Xbox Live programming director Larry "Major Nelson" Hryb recently announced that Microsoft is looking into a new disc format for the Xbox 360. The company is holding an open call to find testers that will try out the format, and receive a free game for their troubles. Anyone that signs up here will receive a chance to participate in the beta test. Microsoft is looking for multiple thousands of participants, but at this time only those located in the U.S. are eligible. 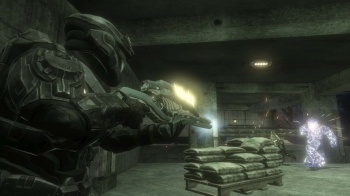 Hryb writes that accepted testers will be sent a copy of Halo: Reach, in addition to "other possible rewards." These likely include Microsoft Points or free Xbox Live Gold time. As for this mystery "disc format," it definitely isn't going to be Sony's Blu-ray, and probably won't be anything totally revolutionary either. A "source" tells Digital Foundry that it'll simply boost the available space on an Xbox 360 DVD. Currently, game data can only take up around 6.8 GB of space on a dual layer Xbox 360 disc. The new format could reportedly add another 1GB, or 15% more space, taken from an area on the disc previously not available to game data. The free copy of Halo: Reach will probably use the new format. If it pans out, Xbox 360 games could get a boost until the next Microsoft console comes out in 2015 (maybe).